>> We won't go so far as to say we dislike The Doors, as we spent far too many happy times with family in our formative years listening to the act to turn our back on them. There are even songs we look forward to hearing, such as "The WASP (Texas Radio and The Big Beat)" and "Love Her Madly" (particularly the piano playing on the latter cut). But the bloated blues often purveyed by the band now sounds lazy, and the faux mysticism and sophomoric intellectual tripe offered by Jim Morrison, well let's just say that ever since we turned onto alternative and punk music in the mid-'80s we haven't had any time for that. We bring this up because, as we referenced in our review of the new Raveonettes record Observator published by The Boston Phoenix this week, we had a moment of genuine fear that The Doors' influence on Raveonettes songwriter Sune Rose Wagner might alter his band's terrific and fizzy noir pop. In collecting materials as part of our research for the review we noted Mr. Wagner more than once professing taking inspiration from Morrison and company, and we were concerned that influence would manifest itself audibly on Observator. Fortunately, that didn't happen. As we summed up in the Phoenix: "Instead, The Raveonettes here plot the aural dimensions of a timeless autumn. Ever-present reverb casts long chiaroscuro shadows across undeniable pop hooks in uptempo strummers 'Downtown' and 'Till the End.' Observator's melancholy California come-downs are equally arresting, including opener 'Young and Cold,' one of three songs featuring piano (a first for the Raveonettes, now six albums deep" into its career. Read the entire review right here. Observator is a very rewarding collection perfectly suited to the change in season that is just about upon us. Stream the album cut "Observations" via the Soundcloud embed below, or stream the entire record over at RollingStone.com right here. 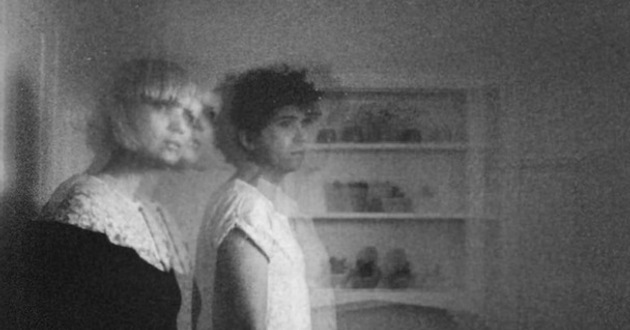 The Raveonettes will perform at Boston's Paradise Rock Club Oct. 7; buy tickets here. Hey Edward, thanks for the Cherry Wave tip! Yes, MBV's earlier stuff was awesome, as the new EP collection reminds us. YouTube Rodeo: Ringo Deathstarr's Tripped "Rip"